Chamomile grows across Europe and temperate Asia as a weed. It has also been widely introduced in temperate North America, South America and Australia. Because this plant is actually a weed, it won’t be hard to grow for you. You can grow Chamomile indoors in propagation flats and transplanted them outdoors after the winter is over. A 2016 study found that people taking Chamomile suffered less anxiety, with fewer undesirable side-effects than comparable regular treatment options. A short-term study found a similar effect. Chamomile seeds can be ordered here. Supplements made of Chamomile extract can be bought here. If your climate is generally too cold for Chamomile, Roseroot may be a good option. 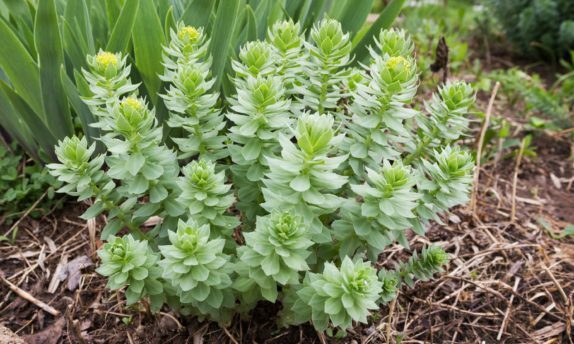 Roseroot grows naturally in cold regions of the world, including Scandinavia and Siberia, where people have used the plant for generations. It grows well on mountains and sea cliffs. To learn more about how to grow the plant yourself, this article can be useful. Studies have been done that showed great results in people suffering burnout symptoms, life-stress symptoms, chronic fatigue symptoms and stress-related fatigue. Roseroot seeds can be found on Amazon. Without the Internet, they would be hard to come across! Dietary supplements made with Roseroot can be found there too. Valerian has been used as a medicinal herb since the days of ancient Rome. It’s native to Europe and Asia and now also grows as an introduced species in the United States. It grows so well in fact, that it’s officially banned in Connecticut. To learn how to grow Valerian yourself, look here. There are numerous studies showing that Valerian works to relieve anxiety, but it’s worth starting out here. One study found that taking liquorice with Valerian makes the effect even stronger. You thus might want to consider eating liquorice while you take Valerian. Valerian seeds can be hard to find, but they’re for sale on Amazon. 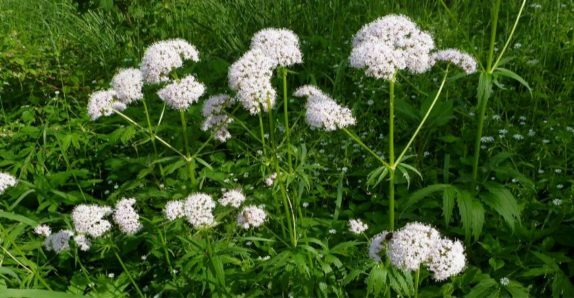 Valerian root can be found in many places, but Amazon is once again worth considering. Plants in the Skullcap family grow in many different places, including Western Europe. Some information on how to grow them is available here. 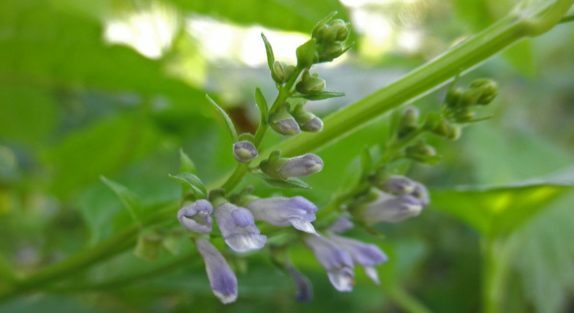 Studies have been done on Skullcap that found reduced anxiety and people have used it for generations. They found that it works particularly well for anxiety that’s associated with a tendency of restlessness and muscle tension. Think of people who lie awake at night rolling around in their bed for example. Skullcap dietary supplements are for sale on Amazon. Skullcap seeds are also for sale there. 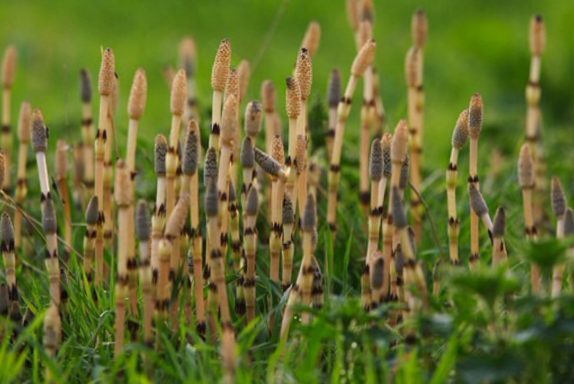 Common Horsetail is a cosmopolitan species, spread across the Arctic and temperate regions of the world. It is seen as an invasive species in New Zealand. To learn how to grow this plant yourself, visit this guide. Studies in animals show that Horsetail works against anxiety. A supplement of 100 pills of Horsetail is found on Amazon, at a very affordable price. You can also buy the live plants themselves, but it’s not very easy to buy seeds. Note: Always consult with your doctor first before you cease taking medication. Although side-effects are generally limited, it’s worth checking first whether there are any harmful side-effects or interactions with drugs you take. Also, some of these plants can be found in the wild, but before going out to gather them, make sure to learn to recognize them, as some look similar to deadly plants.